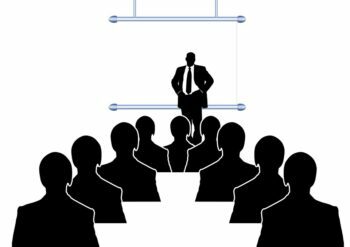 Table Topics is a integral part of Toastmasters, intended to help members develop their ability to quickly respond to an impromptu question or topic. The Topics session features in every Toastmaster meeting to give us all a chance to improve Impromptu speaking skills. Theses skills can helps outside of toastmasters in situations such as interviews or Q&A sessions after a customer presentation. At your toastmasters meeting, do you think “Please don’t call on me”? Do you wish you could handle any topic with ease? There are two simple steps that will help you manage any topic. Firstly you need to buy time and secondly you need to pick a side. Firstly you buy yourself time. You can do this by thanking the toastmaster for the topic, repeat the topic or perhaps ask the topics master to repeat the topic. You buy time to allow yourself to pick a side on the topic and construct your response. Firstly pick a side on the topic, quickly decided to take a strong opinion for or against the topic. Picking a side will ensure you have enough material. If you sit on the fence you may struggle to speak for the for the allotted time, as its difficult to be passionate when you sit on the fence. Then you construct a mini-speech your opening, body and conclusion. Open strongly, pick a number of key arguments and then summarise your response. Passion: Show passion in your response, this will help energize you and will get peoples attention. Fun: Have fun with the topic, perhaps take an exaggerated response to a topic. Practice: Take a selection of newspaper headlines and practice the simple 2 step approach. At your next toastmasters meeting remember to buy time and pick a side. Shows your passion for the topic, have fun and experiment.